One solution for you or your whole family. With Office 365, every day is an opportunity to achieve something that matters to you. Create, edit, and share from multiple devices with anyone, wherever you are. 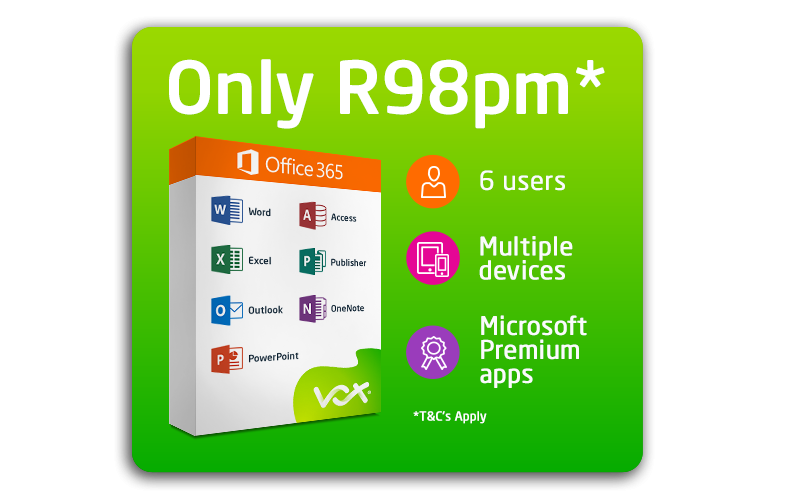 Includes premium Office applications for up to 6 users. For use on multiple PCs/Macs, tablets, and phones (including Windows, iOS, and Android*). Premium versions of Word, Excel, PowerPoint and Outlook, plus Publisher (Access for PC only). 1 TB OneDrive cloud storage with advanced security per person. Skype – 60 Skype calling minutes per month. Get the latest premium versions of Word, Excel, PowerPoint, OneNote (features vary), Outlook, Access and Publisher with instant access to new features every month. Available on PC, Mac, Windows Tablet, Windows Phone, iOS, and Android. Can Office 365 work offline? While Microsoft’s Office 365 subscription-based plans require Internet access to sign up, you can still use Word, Excel, PowerPoint and other Office applications while you’re offline. You will, however, need to go online every 30 days to maintain your subscription and prevent the apps from de-activating. How do I log into my Outlook 365 email? Click on the Faculty/Staff email icon. Open a web browser to the Login to Email page. Click on Email Login under Faculty/Staff Login. Is Office 365 stored on my computer? Your computer does not have to be connected to internet to access your installed Office 365 / Word 365 application. The documents which are saved on the computer can be accessed instantly, this includes the old and the new documents. Files created in the Office application can be either saved locally or on OneDrive. What is the difference between Office 365 Home and Office 365 Personal? Office 365 Home Office apps can be installed on up to six PCs or Macs, and six tablets. Office 365 Personal, which is relatively a newer option, offers access to the same apps and storage space as Office 365 Home, except you can only install it on one PC or Mac, and one tablet or iPad.